My second son, Gael started with disposable diapers when he was born. We don't venture on trying different brands but instead, we used a tried and trusted brand for years. It was the same diaper that we used in our first born. Our journey with cloth diaper started when he was 11 months. We decided to "supplement" to save money and since CDs are eco-friendly. But it wasn't for long, we grew tired of the washing routine and since the baby is growing up, he is becoming a heavy wetter. 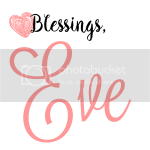 So, we switched back to disposables. When he entered the "terrific two" stage, putting a diaper on him is a real struggle! We resolved to use diaper pants. It was summer season during that time and we noticed that he is having heat rash on the waist area, so we stopped and went back to the original tape type that we've been using. 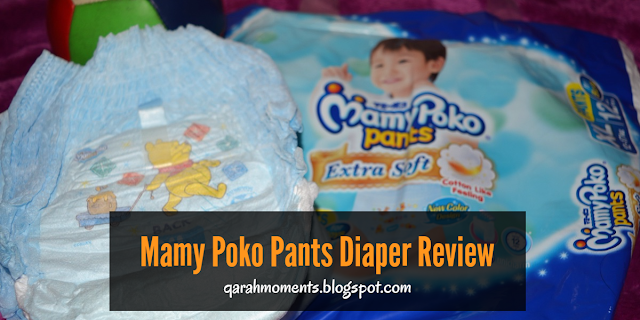 I haven't tried any Mamy Poko Diaper in the past. I just saw them in departments stores and I remember one cousin recommended it. But I don't like spending money for testing purposes especially since I already have a trusted brand. Good thing, Lazada PH sent me a sample of Mamy Poko Pants Diaper last December. Absorption: Good. It leaves baby's skin dry after wee wee. I tried it overnight and when I touched the diaper full of wee wee, it is still feeling dry. Fitting: Fast and easy to wear which is good for toddlers. I love that it fits like a brief and not square-shaped which is common on tape type diapers. Design: I love the Blue color (there's also pink for girls) with 6 designs of Pooh. At least it is from a familiar character which makes the little one excited to wear. Source: Easy to find, available in department stores, supermarkets and for those who doesn't have time to go out, you can also order it online thru Lazada PH. The size that I got is XL which is good for 12-17 kg. Since my little one is kinda petite, it looks bigger and loose. I guess I need a smaller size for him. 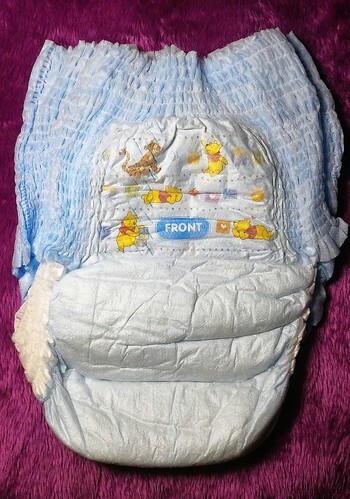 Gael didn't get rashes on this diaper, although I need to test this during summer to see if it will give him heat rash. Overall, this is good diaper pants. Thanks, Lazada PH and Mamy Poko for this sample. You can order this online here. 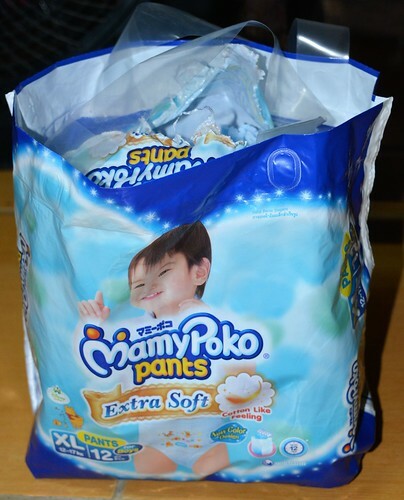 We used Mamy Poko for my son when he wasn't potty trained pa. I can vouch for the quality plus it's affordable. I like pull up diaper pants lalo na pag umaalis kami. I think I used a different brand before kasi this one is more expensive ata. Comfort, absorption and budget-friendly are what I look for in diapers before. Though I sometimes miss my kids in diaper-wearing-baby stage, I am glad I am done with that part of the expenses. Hehe! Honestly, I've never tried pullup diapers on my kids. They are now 11, 9, and 8! I never tried Poko diaper with my son before, maybe if I will have another baby I will give it a try. Very convenient talaga ang pull-up pants. We use other brand but I like yung design ng Mamy Poko and I know maganda ang quality talaga. My son used the one with tapes when he was an infant. Dami na talaga choices these days when it comes to baby things. When my kids were diaper age all we had where mainly Huggies, Pampers, Pro Kids, and Drypers. We tried this when my son was a newborn. I love how it perfectly fits to my son and he never experienced leakage while wearing this. When I discovered pull-ups, grabe, tuwang tuwa talaga ako! It's so much easier to change diapers especially sa malls, I don't like using their diaper changing stations. I love pull-ups. When my kids were babies, I really enjoyed changing their diapers when we would use pull-ups. But mahal ang Mamy Poko, haha! Just to be fair they're also one of the best ones in the market. I swear by pull-up pants and Mamy Poko is one of the better brands. My son has been potty-trained since age 2 but I haven't trained him for nighttime yet so we're still stuck with pull-ups! We use MamyPoko to my four boys. We trust the brand and have been loyal users for 14 years now. 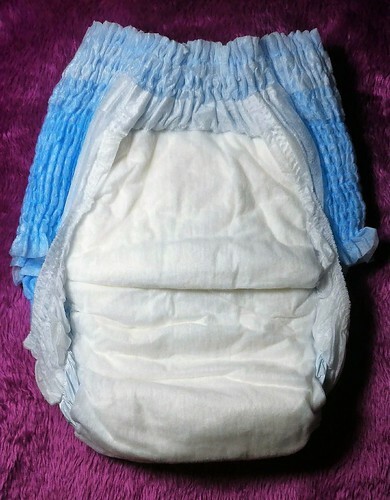 It is the diaper my nurse cousin recommended for my first born. It is the same diaper we used to our second son. For our third boy, we switched to a new brand because we wanted to save on diapers. But then, weve realized the big difference in quality. Now with our fourth, we again go back to MamyPako. No wonder Mamy Poko is my sister's favorite brand. Her two kids are both Mamy Poko users. I also tried this diaper too with my youngest. A good brand but for some reasons we are using the other brand. Now, she's no longer into diapers :) . I haven't tried Momh Poko. Chelsea use other brand of diaper.i find kase this brand a bit expensive to use. I remember ang mahal ng brand na ito when we were still using diapers. But from your review, worth it naman pala. I've been hearing good reviews about Mamy Poko, but I know this diaper brand is also quite pricey. I haven't had the chance to try it, though, when my son was still a baby. i heard a lot of good things about mamy poko, though i didnt get to experience the same. sana next time, i get to experience this positive side of mamy poko. I love Mamy Poko Pull-Up diaper! That is what my toddler is currently using.